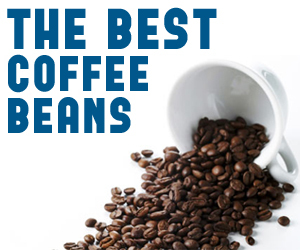 People that make their own espresso will know that most coffee makers come with a Tamper included in the box – but they tend to be plastic and because they are plastic they do not provide the best type of ground coffee press. Pressing the coffee when making espresso is called tamping the coffee and it is this process that improves the final taste. By tamping the ground coffee it compresses and once hot water is poured through the pressed coffee the result is a stronger cup of espresso. The better the Temper the better is will press the coffee – the more the ground coffee is compressed the better the taste. So for those people that are still making the espresso with the original plastic tamper it may be time to look at purchasing a tamper. There are lots of comments about coffee tampers including; a coffee tamper is a personal choice that will reflect how serious you are about making perfect espresso; a coffee tamper says something about your personality as a coffee drinker and ‘my beautiful wood handled coffee tamper was purchased with care and I know it will last my lifetime and beyond’. The coffee tamper bought today could be the family heirloom for future generations of espresso drinkers. Choose a coffee tamper with care, make sure it is of good quality bearing in mind that it should be strong and heavy enough to press the ground coffee compactly – you will not believe what you have been missing and will thoroughly enjoy your espresso coffee. 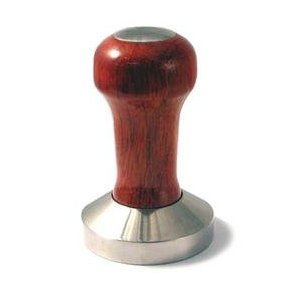 There are many tampers available ranging from £5 to over £100 – it will be down to personal choice but make sure that the chosen tamper is comfortable to use and most importantly that it will fit into the espresso machine coffee holder – check the dimensions before purchasing a tamper. Remember that tamping the coffee is the most important part of the espresso process it improves the flavour and results in a delicious, strong, dark cup of espresso – exactly how it should be.